Aloha! 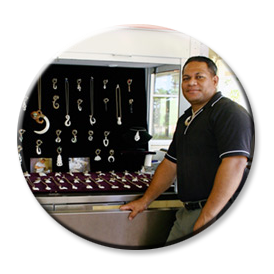 Formerly of Hawaii, Tatafu Langi & his family welcome you to the Mana’ia ‘O Langi online jewelry store. 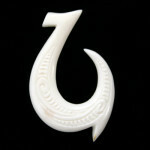 We are a family business and we love creating beautiful Polynesian jewelry that encompass the great Polynesian spirit of the islands. 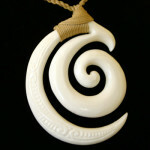 Featuring some of the most beautiful and artistic jewelry you’ll find, Tatafu’s original designs incorporate the “Great Polynesian Spirit” and each necklace has a special meaning. 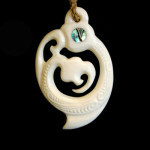 His carved jewelry necklaces are handmade and come with a guarantee. 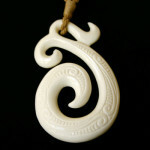 All bone carvings come lashed and tied with a beige cord that is also hand-woven by Tatafu and measures about 18-20 inches. 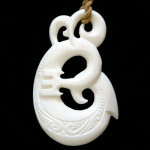 If you’d like to make the chord longer, just indicate your specification in your order. No additional charge. 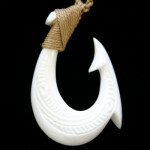 The Mana’ia ‘O Langi jewelry collection includes fish hook necklaces, carved bone pendants, Polynesian bone jewelry, abalone pendants and other styles featuring fossilized whale bone, cow bone, ivory, koa wood, abalone shell, and other types of materials. 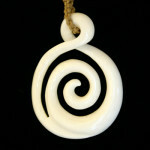 Tatafu’s popular bone jewelry is the perfect gift for family members and cherished friends any time of the year. 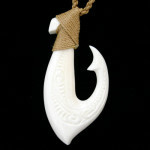 Below is a sample of some of our original hand-carved bone pendant designs and fish hook necklaces. 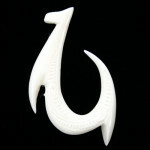 You can buy these bone pendants in our online store. Thank you for shopping! 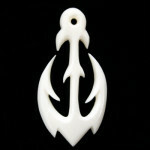 You support a real American family when you buy from our shop. 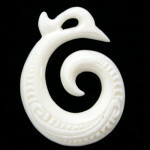 Our mission is to keep the art of bone carving thriving. 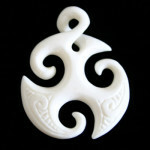 It is an art that is slowly dying and fading into the conglomerate of mass production monopolies. 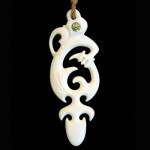 We relocated Mana’ia ‘O Langi to Florida in November of 2010 due to family obligations. 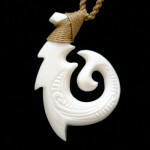 Tafu continues to share his carving talents with others through our website and various trade shows along the East Coast. 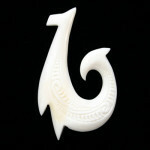 Mahalo for your ongoing support of our online jewelry store family business! 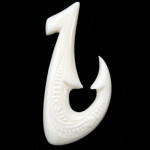 Tafu’s bone jewelry worn by the stars!